Excerpt below from the New England Museum Association’s Excellence Awards announcement which were awarded during the Associations’ annual conference in November 2016. Please see the NEMA website for the full article. People are what make our museums great, and NEMA’s members are some of the most talented and dedicated people in the field. NEMA is proud to honor our colleagues’ extraordinary effort and commitment to the New England museum community. Let’s recognize their achievements. Congratulations to the winners of NEMA’s Excellence Awards Competition! NEMA is pleased to announce the winners of the third annual Excellence Awards competition. We had the largest pool of nominees ever, which made for a highly competitive year. This year’s awardees will receive recognition at the Annual Meeting at this year’s conference. Thanks to all who submitted nominations and to our judges, and congratulations to this year’s Excellence Award winners! 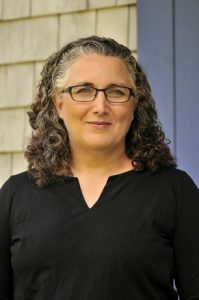 Marjory O’Toole is the full-time Managing Director of the Little Compton Historical Society and a part time Master’s Candidate at the John Nicholas Brown Center for Public Humanities and Cultural Heritage at Brown University. Her interest in local slavery and indenture was sparked by one of her courses at Brown and led to a major year-round project at the Historical Society that restored the voices of 250 forgotten people of color to the history of the Little Compton, Rhode Island. 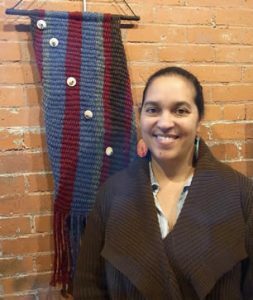 Lorén M. Spears, Narragansett, Executive Director of Tomaquag Museum, has been an educator for 25 years and more recently as an adjunct professor at the University of Rhode Island where she also received her undergraduate degree in Elementary Education. Mrs. Spears holds a Master’s in Education from the University of New England. She shares her cultural knowledge and traditional arts learned through her family with the public through museum programs. She has written curriculum, poetry, and narratives published in a variety of publications such as Dawnland Voices, An Anthology of Indigenous Writing of New England; Through Our Eyes: An Indigenous View of Mashapaug Pond, and The Pursuit of Happiness: An Indigenous View. She works tirelessly to empower Native youth and to educate the public on Native history, culture, the environment and the arts. She was appointed by Governor Gina Raimondo to serve on the Board of the RI State Council on the Arts and serves on various other boards including The Pell Center’s Story in the Public Square. Under her leadership, Tomaquag Museum has received the Institute of Museum and Library Services’ National Medal. She has also received a variety of awards including the Extraordinary Woman Award, International Day 2010, the Urban League, Woman of Substance Award, 2006 and the Tom Roberts Prize for Creative Achievement in the Humanities in October by RI Council on the Humanities. She resides in Charlestown, RI with her husband Robin and 3 children, all of whom are traditional artists.